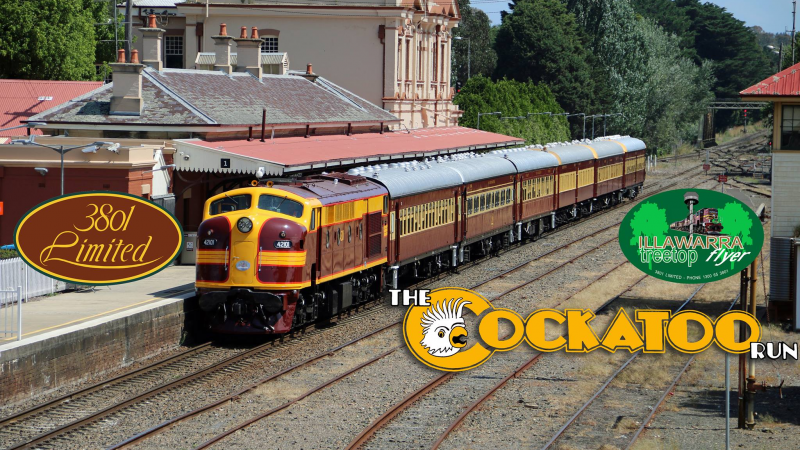 We invite you to join us on the Cockatoo Run, hauled by heritage diesel locomotives and featuring our beautifully restored and maintained carriages. This heritage train operates a return tour from Sydney through to Robertson and Moss Vale* via Wollongong. For operational reasons, we cannot guarantee particular locomotives or carriages will be used on this trip, substitutes may be required. Due to timetable constraints, we cannot guarantee that we will stop in Moss Vale or at Summit Tank. We will make further announcements closer to the date of travel. Companion Card accepted. Card number must be provided at time of booking. Booking must be made via phone.